In this article, we'll take a look at how to enroll and invite learners to study your Open edX course. 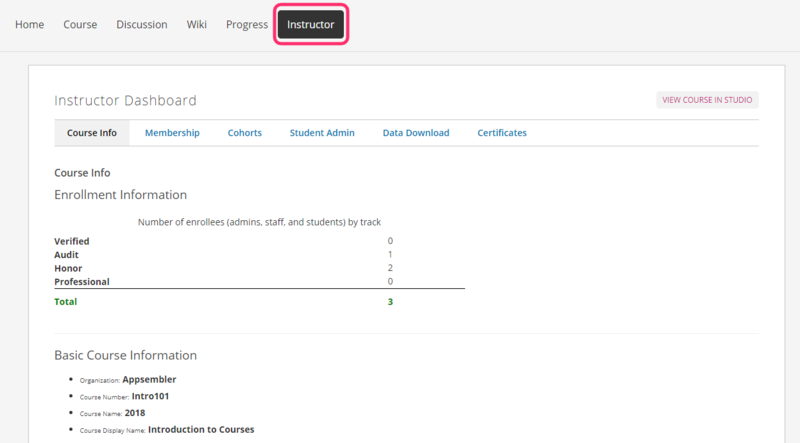 First, ensure you're in the LMS (Learning Management System) and navigate within your course to the Instructor dashboard. 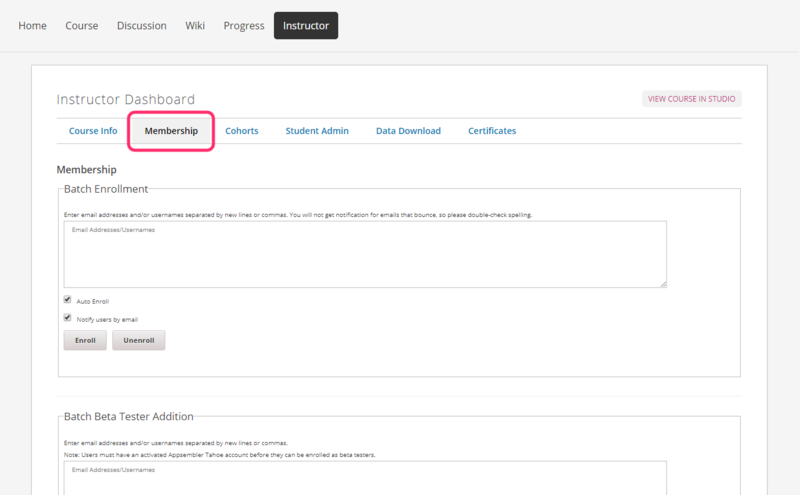 Select the Membership tab within the Instructor Dashboard. In the text box below Batch Enrollment, simply enter the email addresses of the learners you wish to enroll, either one at a time or in a batch separated by new lines or commas. 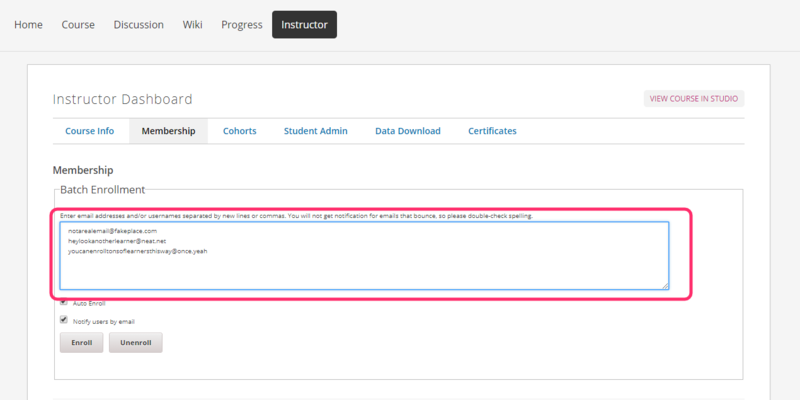 The checkboxes below the textbox allow you to select whether you want to Auto enroll your learners directly into the course (recommended), and whether you want to automatically Notify users by email about this invitation. If you want to send out your own fully custom emails, you may want to leave the email box unselected and send the invitation emails yourself manually through your normal CRM tool. Make sure you click Enroll after you've entered all the learners you wish to enroll to confirm your choices. That's it! You now have the power to invite learners to your Open edX course! Hooray! Your learners will now be invited to join their course, and it'll show up on their dashboard once they have registered (providing they use the same email address that you used to invite them). You have been invited to join [Course Title] at [Your Website URL] by a member of the course staff. To finish your registration, please visit [Your Website URL]/register and fill out the registration form making sure to use [Enrolled email address] in the E-mail field. Once you have registered and activated your account, visit [Your Course URL] to join the course. You have been enrolled in [Course Title] at [Your Website URL] by a member of the course staff. 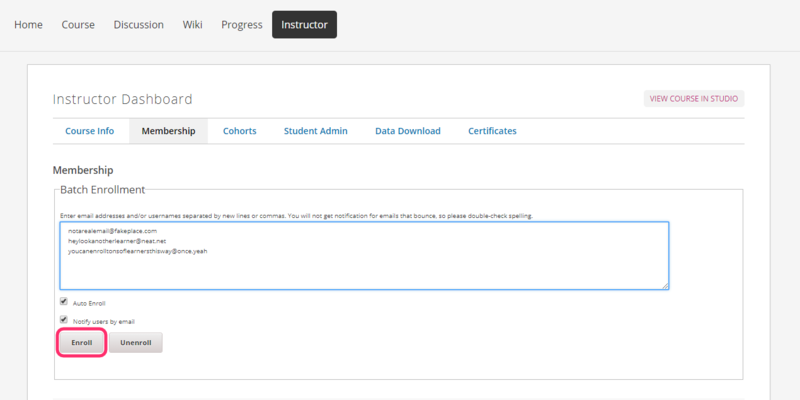 The course should now appear on your [Your Website URL] dashboard. If you don't like the wording of these emails, we recommend using your own CRM to send out the email invitations in the format you would like to use.